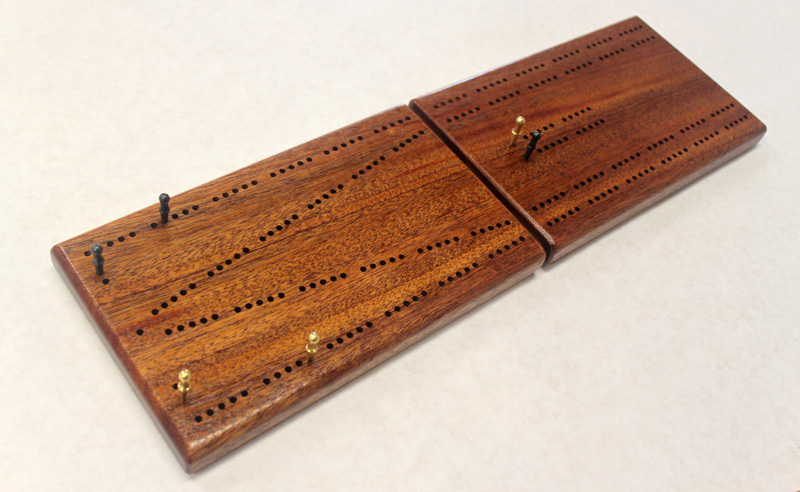 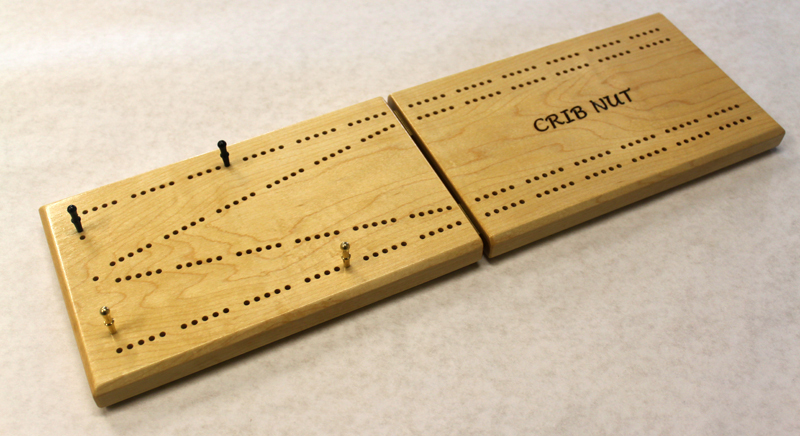 Here's a two track continuous folding v-tourney board which you can order in a choice of woods. 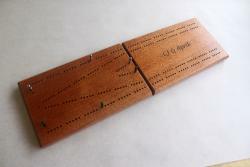 It measures approx 5.5" wide, 18" long when open and 3/4" thick. 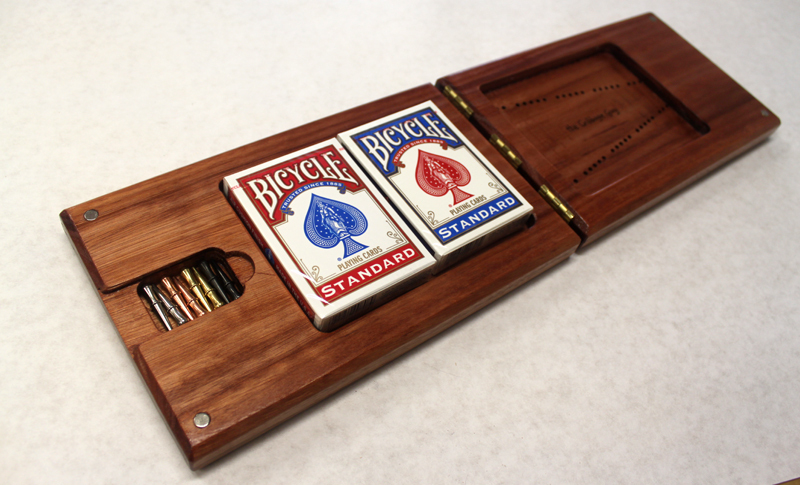 It holds two decks of cards and 8 metal pegs, and this hinged design has two brass hinges and is held closed by four rare earth magnets. 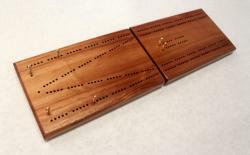 You can choose engraving on the top such as a name or phrase, or scoring holes, or both. The top four edges have a generous chamfer adding to the style of the board. 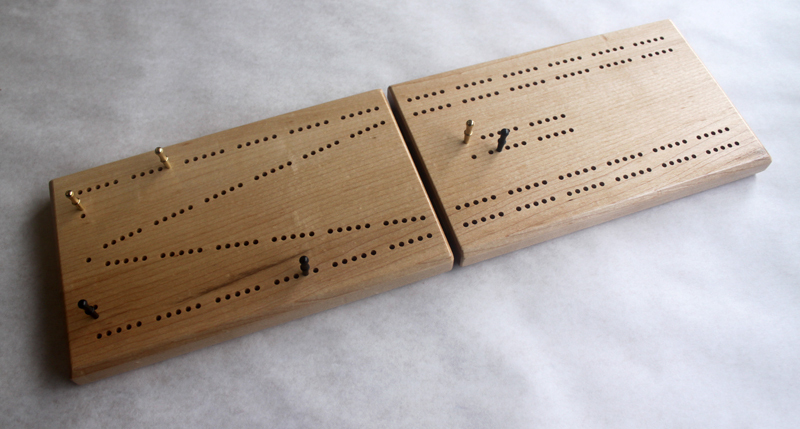 After sanding smooth, this board is brushed with shellac to protect the wood..